A MUST HAVE BASIC! It is cute, matches with everything, and it is so comfy. Easy to dress up or down with anything. Basic tee tops, giving you an soft and cool feeling. XL:Front Length:27.95"; Back Length:30.31"; Bust:43.31";Hips:43.31". 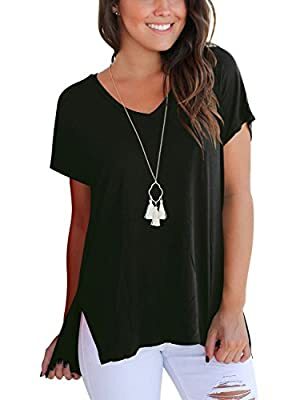 How to Care for Dasbayla T-Shirt Tops? 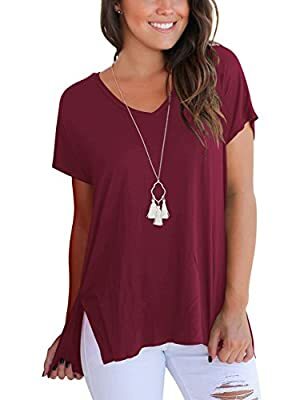 Plain v neck relax style tees, ladies casual basic short sleeve t-shirts, stretchy tee tops,split in side t shirt blouse, high low hem design. Fabric is slightly sheer. 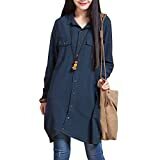 Also Can be used as a undershirts, Match with tank tops,camisole or bras can avoid the sheer problem. 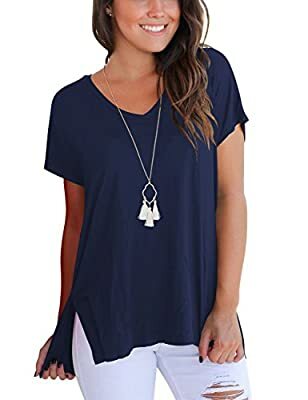 Simple, chic top for summer, pair it with jeans or denim shorts can be more casual and charming in this season. 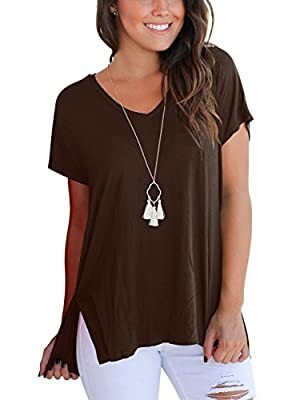 Due to the jersey material, this womens tshirt is a bit wrinkle. Use low iron to get a flowy effect. Model is 5'5, 32B bust, size 2/4 pants, size small top and is wearing a size small. 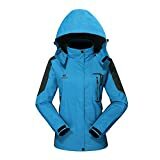 Please check last images to compare size before purchase.